I love gifts that keep giving. That’s why this year I’m giving my family and friends things that they can do and that are memorable. 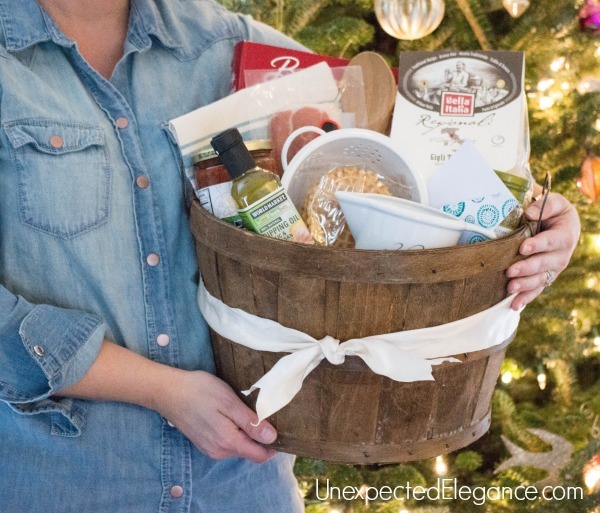 If you have someone who loves to cook or someone who wants to learn to cook, then I have a great gift idea for you!! 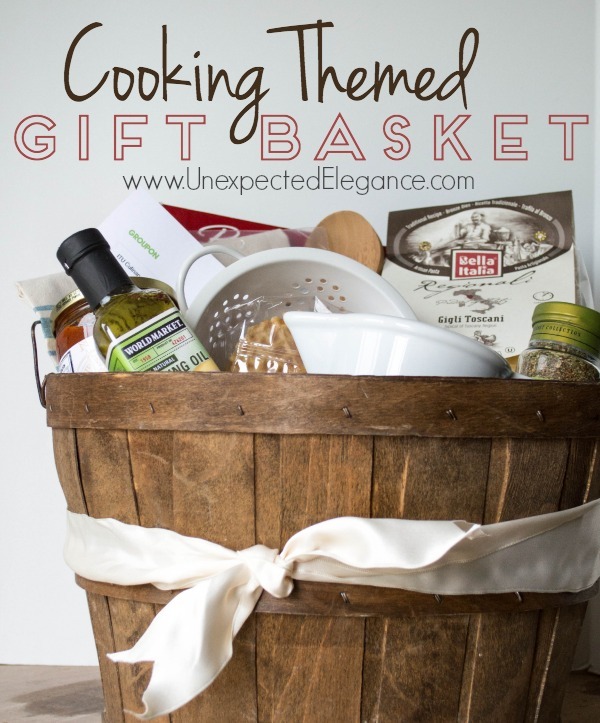 A cooking themed gift basket complete with a class is perfect. I’ve given this gift in the past and it’s always a hit. Start with one of your favorite cookbooks and go with a specific type of food. You could do Mexican, Italian, Peruvian, Asian, barbecue…just choose one that they love. 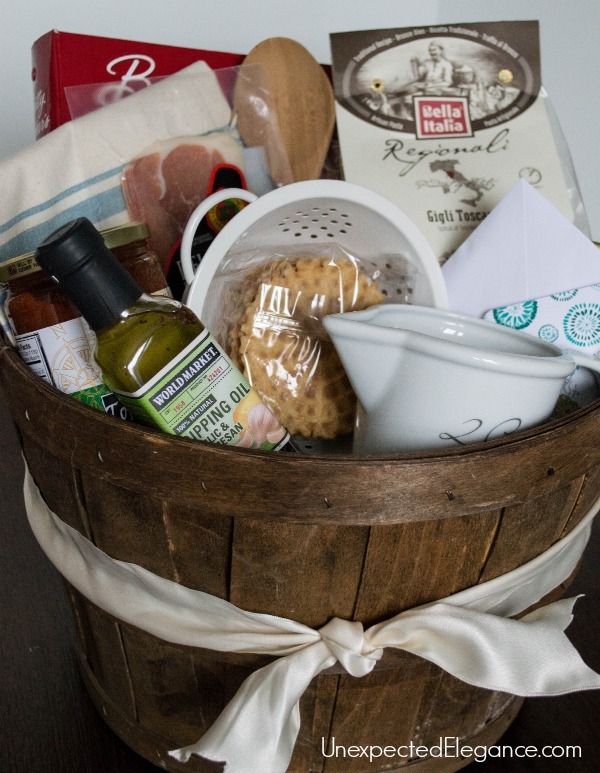 Buy a few food items and utensils to go with the cookbook and put it in a basket with a gift certificate to a local or online cooking class. I found some great local and online classes on Groupon that were very affordable. The one I chose was an online culinary course that can be done at your own pace in your spare time (even on the weekends, early morning or late night!). Perfect for a busy lifestyle! You can search by their zip code on Groupon‘s site to find a class close to where they live. 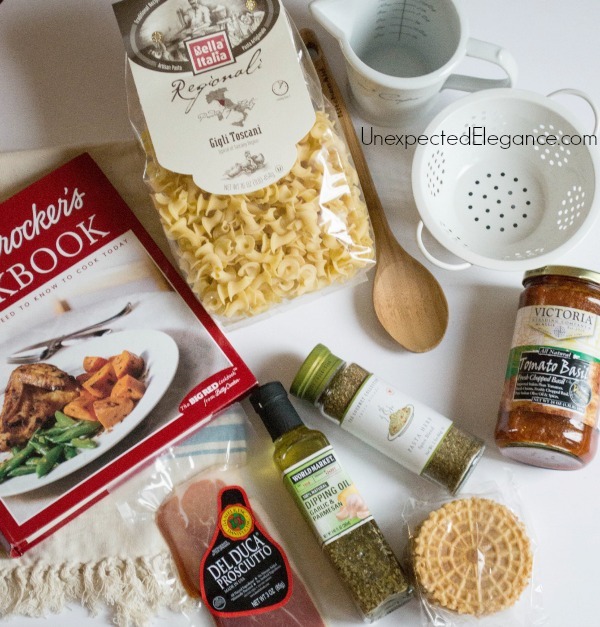 A great place to find one-of-a-kind ethnic food is at an import store or speciality grocery. 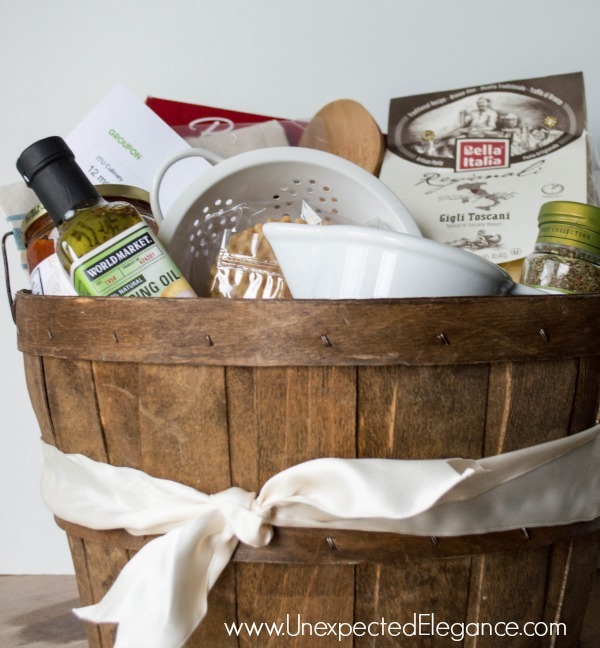 Make sure whatever basket you use is fairly large. Use crumpled paper on the bottom of the basket for some extra height. 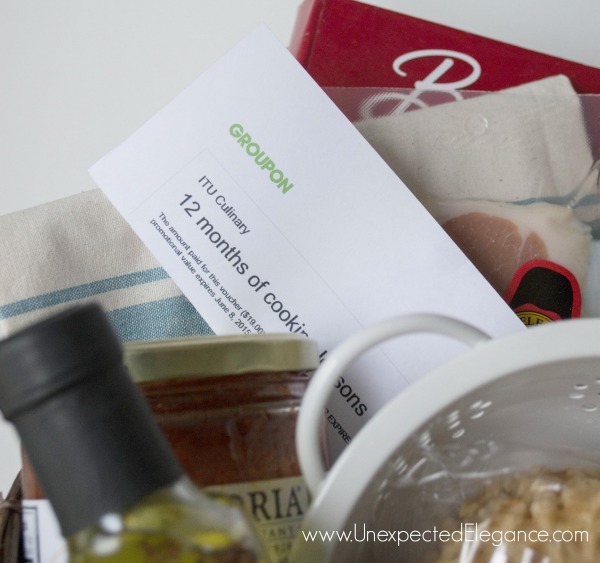 Check Groupon to find a cooking themed gift certificate to add to the basket and make it extra special! Be sure to visit Groupon for more great gift ideas, special giveaways, and promotions this holiday season and check out some of my other “experience” gift ideas: Wine Tasting Package and Homemade Spa Gift Idea.